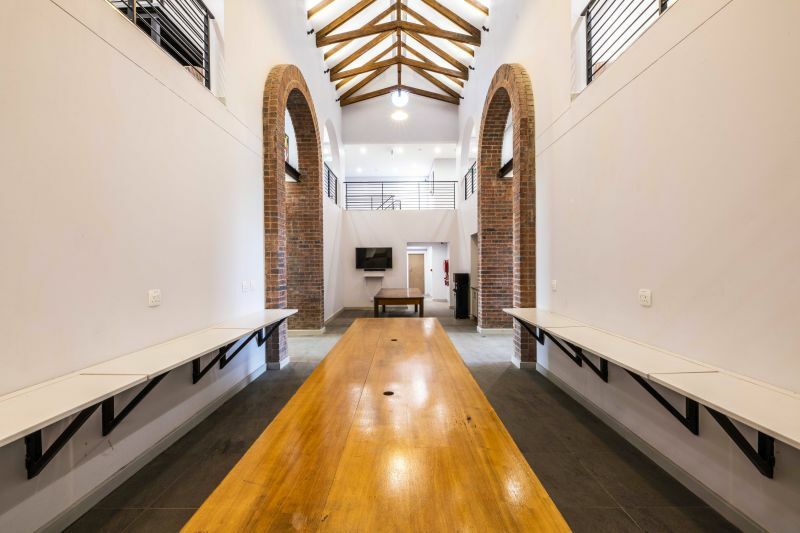 The timelessness of Corobrik’s face brick range has allowed for the subtle fusion of old and new in the elegant construction of St David’s Marist Inanda’s new boarding house and multi-sports’ facility, officially opened in November 2018. The project, which started in late 2016, involved the construction of a much-needed, multi-sports’ development for swimming, water polo, tennis and basketball. 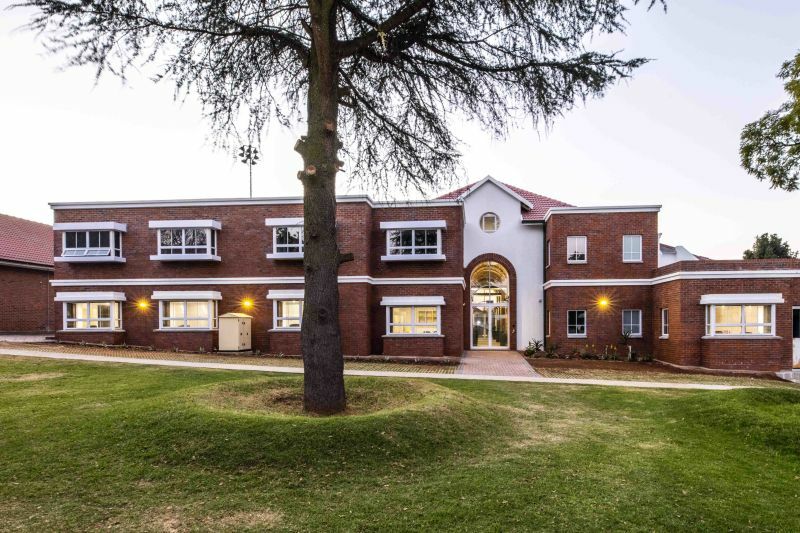 Alongside this is the new boarding house, which will see the reintroduction of boarders to the Joburg school for the first time since the 1970s. Housing 41 boys and four masters, this forms part of a larger expansion project that will offer more pupils a second home on the Sandton school grounds. Courtesy of Warwick Preddy/Greenspace Studio. Established in 1941, St David’s Marist Inanda has a strong historical legacy that needed to be echoed throughout the new developments. Tim Johnson, principal architect at Greenspace Studio and an old boy of St David’s, was the perfect fit for the innovative projects. Corobrik’s face bricks are cleverly used as feature elements throughout the multi-sports’ facility. The monolithic concrete grandstands and galvanised steel members introduce new, hardy finishes to the harsh environment of the pool, while white plaster contrasts against Corobrik’s red face brick and clean arches, all of which were influenced by the school’s existing geometries and aesthetic. 1. A mere six metres away, the deep hues of Corobrik’s face brick are once again picked up in the new boarding establishment. 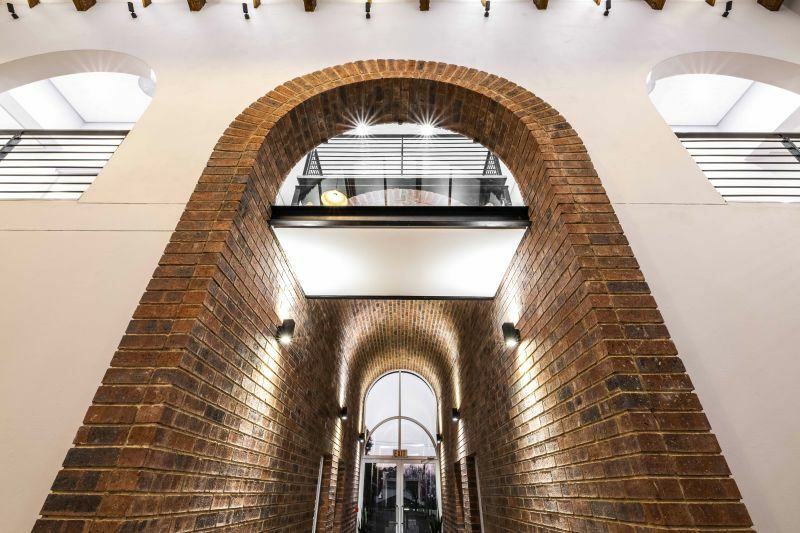 Brickwork arches are a quintessential feature throughout the school and Greenspace Studio aimed to sustain this notable feature by incorporating a traditional masonry arch in the boarding house and slicker, more contemporary arches in concrete and face brick for the multi-sports’ facility. 2. Using an existing residential structure, the central living rooms remain but have been consolidated to form the common area, with bedrooms branching outwards towards the exterior. The double-volume common area connects the two floors while a circular passage links the bedrooms, reading space, study and four separate house masters’ accommodations in an exposed arrangement to the ground floor. 3. The inviting, homely ethos underpinning the unique design of the boarding house was carefully mirrored in the chosen building materials. 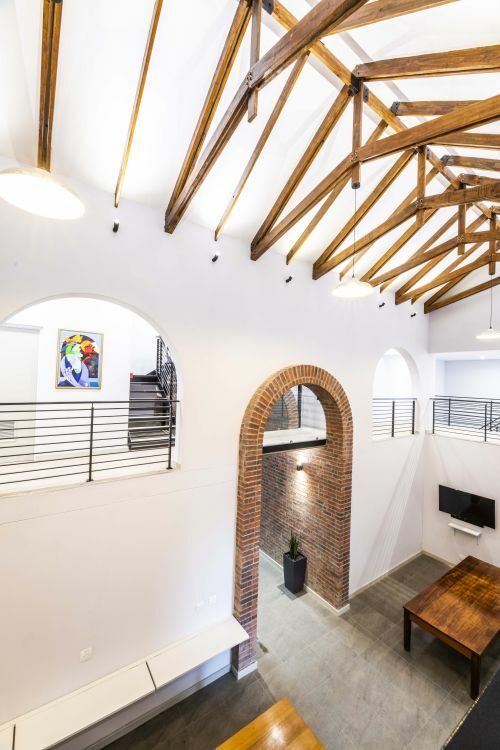 The common area with exposed rafters creates a light, fun space for the boarders and this wooden material, also found in the bedroom bay windows, softens the overall feel. 4. Planted facade elements combined with stark face brick geometries create an interesting contrast, while internally, the steel balustrades and large openings provide a transparency that allows for constant visibility. “We wanted the boarding house to have a sense of life and movement,” explained Johnson. “This all-encompassing environment allows for the free interaction of the various parts of daily life on campus. Speaking at the annual Foundation Cocktail Evening, a trustee of the St David’s Marist Foundation, Gianni Mariano, said the new buildings appear to have been there for 100 years, blending into the surrounds.